Just shy of its 20th anniversary, Paxton’s Home Improvements is a family owned and run company based in Saffron Walden, Essex specialising in the design and supply of all types of timber, aluminium and uPVC windows ,doors, conservatories and associated home improvement services. Here is the rest of the story from Gary,“ We and a few other hand picked retailers were selected by Ultraframe to work with them to develop these products. And so, when we sold a conservatory in the Autumn of 2009 the consumer was willing to wait until Shades were available in the new year, as they wanted to put the finishing touches to their conservatory. They are absolutely delighted with the result and particularly the Shades and we have received a very positive recommendation letter from them”. 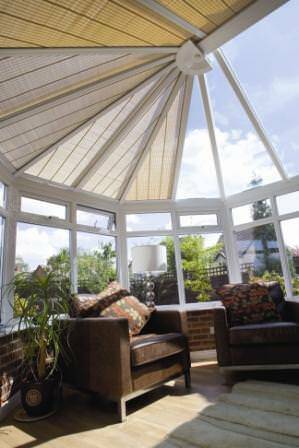 Mr N of Saffron Waldon said, “We are delighted with our conservatory – it is even better than we had hoped and we would like to thank everyone at Paxton’s who worked on it”. Gary goes on to describe a second consumer whose conservatory was completed early in 2010 and features Classic Plus and who is equally delighted with the result. They are considering the option of Shades but are still undecided. Mr and Mrs P of Saffron Waldon said, “Having taken occupancy of our conservatory I am writing to say that we are delighted with the result”. Continued Gary, “Shades are displayed within our conservatory showroom which is a great selling point for prospective customers – a key advantage is being able to showcase the product as it enables them to visualise how they will look other than just a picture from a brochure. 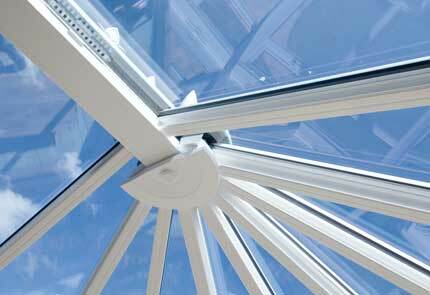 It enables the salesman to raise the subject of blinds/shades during the sales negotiations for the conservatory and accessories and they are quite often a product that hasn’t been thought about up until that point. Recent customers who have had conservatories fitted in the second half of 2009 were very receptive to the idea of the shades/blinds but decided to ‘live’ with their conservatory’s throughout the summer months to see whether it will be a necessary requirement for their needs so whilst the Shades were mentioned at point of sale (and I feel should be mentioned at point of sale) they are not always an immediate purchase but something that may be considered at a later date. Having never talked to the consumer about shading/blinds before, I was a little nervous about raising the issue and more particularly the cost. I would honestly say – in every instance – when I have raised the issue not one consumer has baulked and they have positively thanked me for my directness and the fact that we can offer a cost effective solution in Shades”.